Diabetes care has long since progressed to a state where self management is the normal course of action for adults and even many children. Through dietary controls, activity regimens, and automatic injectors with pre-measured doses of insulin, one might think there was little room for improvement. And yet there are still 14 million annual emergency department visits related to diabetes in the US and over 75 thousand deaths each year. With better monitoring, many of these would be preventable. Telehealth provides an effective, inexpensive option for measuring and controlling diabetes to those who need it most. Diabetics who have been properly instructed by their healthcare professionals know all the times of the day and activities around which they are supposed to do spot checks on their blood sugar levels. However, even if these levels are recorded, they provide only a thin cross section of the person’s daily life. 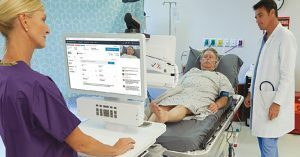 Telehealth gives the possibility of all day monitoring so that a whole day profile can be created to improve overall care. Existing technology is already in use for this very purpose. This approach has already been proven particularly effective among urban minorities, a population that is chronically underserved and among whom diabetes rates are climbing. 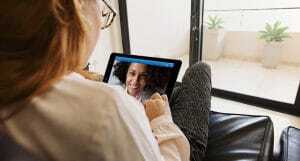 Integrating telehealth into diabetes care, whether a lifelong patient or newly diagnosed, can ease the strictures of lifestyle modifications that are required. That is, a series of smaller actions can be taken over time rather than a few big ones all at once. Among younger groups, it becomes just one more item in their smart device technological arsenal. 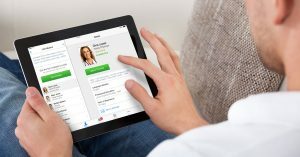 And, as noted, the software can be integrated into existing general devices as well as be used through specialized equipment, and both come from qualified telehealth providers that will be there to assist patients and healthcare professionals alike with their needs. A healthcare professional might reasonably ask about how telehealth can help older patients with their diabetes self-care. The answer is the same as for younger patients. There is ample evidence, both from studies and anecdotes, that senior citizens dislike change or doing something for no good reason they can easily see. However, this is changing. Every year, more seniors are going online, using smart devices, and interacting with an expanding world of relatives, friends, and colleagues. The age cohort at or near retirement age today were entering adulthood just as Neil Armstrong took his “one small step,” so integrating technology into their daily lives now is not the “giant leap” it might have been for generations before them. Young and old, urban and rural, everyone with diabetes can potentially benefit from integrating telehealth into their self care regimen. Doing so will lower costs, ease the burdens of care, and save lives.